Download our fantastic free photo frames and borders to add to your pictures in Photoshop and Elements. Adding Photoshop frames or borders to your pictures is a great way of giving them an artistic finish. Here we've created 50 free photo frames, ranging from distressed edges to classic black borders, for you to download and use on your digital photos. If you find these useful, please feel free to share this url with others. And don't forget to upload your results to our Facebook wall! 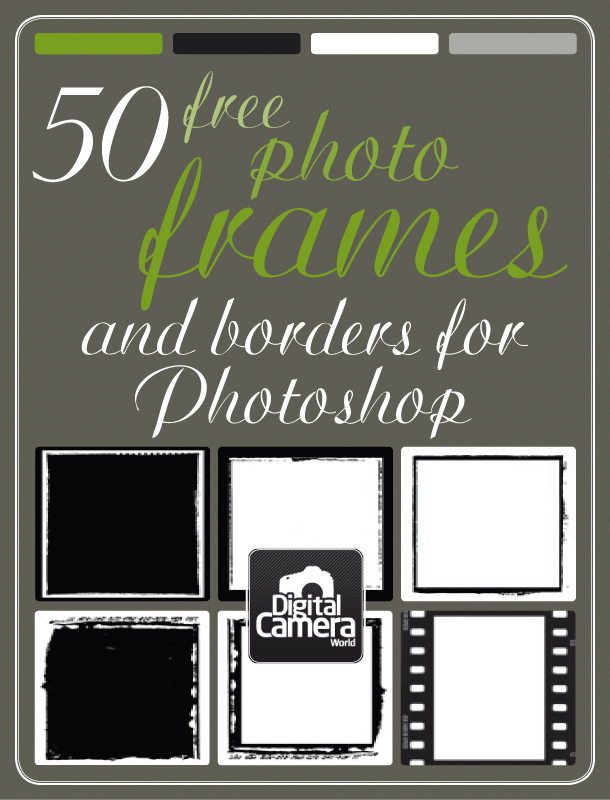 The Photoshop frames will download to your computer in a compressed zip file containing all 50 borders and frames. Once you've downloaded the files, don't miss our guide on how to use free photo frames.